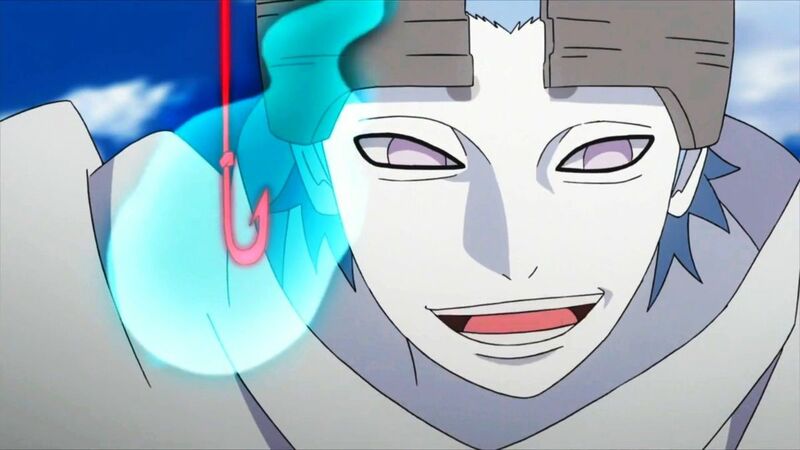 Urashiki Otsutsuki posseses an unusual signature skill, which enables him to form his chakra into a fishing rod and hook "looking thingy" to extract chakra from people and store it in his gourd. Is this ability also capable of extracting Bloodline Kekkai Genkais? an anomaly of the DNA that allows the wielder to use unique techniques. Urashiki's ability seems to be similar to the Sharingan in the sense that it can copy other techniques but a requirement needed to perform abilities unique to Kekkai Genkai is that there must be anomalies in your DNA related to the Kekkai Genkai you are trying to copy. What I think would happen if he tries to copy other Kekkai Genkai (for example, Ice Release) is that he would probably have access to the theory behind performing the technique he is trying to copy but since there are no DNA anomalies in him that enables him to mix both Wind and Water, he would be unable to perform said technique that is unique to Ice Release users. Throughout the Naruto manga, examples of ways to access or transfer Kekkai Genkai is by transplanting body parts, like in the case of Dojutsu or Madara transplanting Hashirama's DNA to access Wood Release, or indirectly through Orochimaru's Edo Tensei. This means that you need to have access to the DNA that allows someone to manipulate chakra like no one else can. Despite this, success rate of acquiring Kekkai Genkai abilities is still low, like in the case of Yamato. It is the DNA that enables someone to be use Kekkai Genkai and not through practice or training to become one (I remember this was discussed when Naruto was training with Kakashi and Yamato). any weapons, techniques, and bloodline techniques that the original shinobi have. But this clan has only ever appeared in-game and not in the manga, anime or movies.